Take the comfortable upright ride position of an urban bike and the ability to transport your luggage effortlessly, combine that with the speed of a road bike, and the Fairfax SC2 IG from Marin is born. 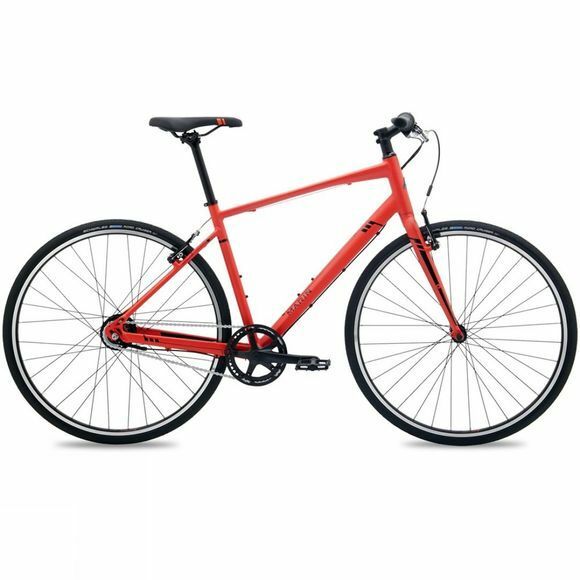 This outstanding commuter machine features a lightweight internally routed series 2 frame. It is made from lightweight hydroformed tubes and includes rack and fender eyelets so that you can attach winter essential mudguards to keep you safe from the spray on wetter days and a carrier rack, presenting plenty of opportunity for transporting luggage. This model uses an 8 speed Shimano Nexus hub gear system, which still gives you plenty of gears to tackle the hillier commute, but with a lower maintenance dependability. Especially useful for urban riding, this hub gear system allows you to change gears whilst at a standstill at traffic lights, something that a derailleur system does not allow for.